If there's one thing bourbon connoisseurs love, it's bourbon with an age statement. 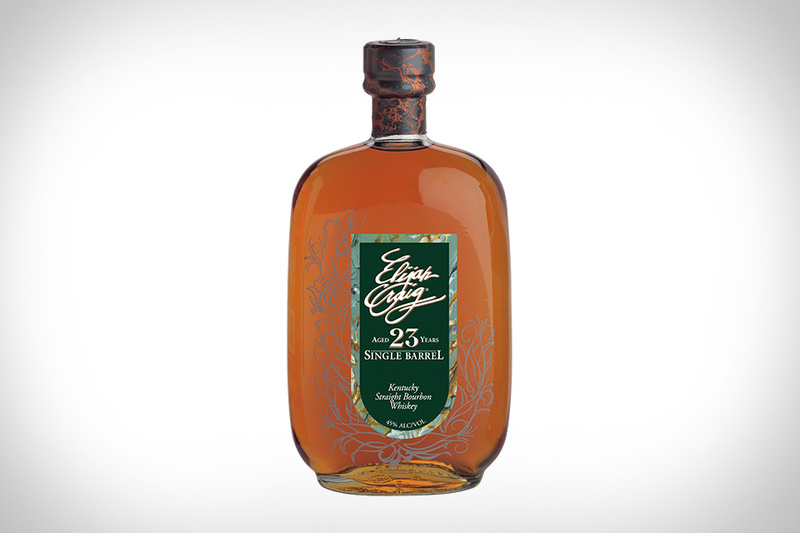 While many distillers move away from letting you know how old the juice in their bottles are, Heaven Hill continues to annually release "extra-aged" limited edition goods like Elijah Craig 23. This single barrel expression should satisfy both collectors of rare releases and those who work their way through a bottle quickly as well, as the extra-age adds nicely to the overall flavor and experience of a dram. It's a bourbon old enough to drink itself that won't be around very long. The entire bourbon industry owes a debt to the distillers who laid the groundwork for the boom the industry is currently in the midst of, and Wild Turkey's Jimmy Russell is at the top of that list. Diamond Anniversary is a new bourbon honoring Russell and his 60 years of service to Wild Turkey, selected by his son, Master Distiller Eddie Russell. It's a blend of 13-16 year-old barrels that comes in at 91 proof and does an excellent job paying tribute to Russell and Wild Turkey. A must-have for Wild Turkey fans and anyone who appreciates great bourbon. There is an old southern term called Pinhooking, used to describe a keen purchase of a young thoroughbred. Bourbon and thoroughbreds are already friendly neighbors and Pinhook Bourbon helps join the two Kentucky staples together with their brand new spirit. The premier batch of 5,000 bottles features a hand-written, letter-pressed label profiling the horse Bourbon Courage — and their next batch will feature another promising colt. But it's what lies inside the bottle that is the real prize — a bright, balanced, high-rye bourbon curated by folks that know good whiskey when they taste it. Picking up a bottle could help you find a new favorite horse to root for and a new favorite bourbon to boot. The good folks at Heaven Hill Distilleries have been releasing consistently good bourbon forever, and their Elijah Craig line is among their best. Elijah Craig Barrel Proof is the beast of the bunch, with the latest batch tipping the scales at over 134 proof, aged for 12 years, straight from the barrel, non-chill filtered, and uncut. It sounds intimidating, and it is, but is also one of the best barrel proof bourbons on the market today. Even with bourbon in high demand across the US, it's not typical outside of Pappy Van Winkle releases to see the kind of frenzy that Orphan Barrel have stirred up in their short time on the market. After two successful releases earlier this year, Rhetoric Bourbon is the third Orphan Barrel bottle to hit shelves, and it's sure to cause a stir as well. Rhetoric is a 20 year old bourbon that was distilled in both the new and old Bernheim distilleries in Kentucky. It's 90 proof with lots of character and flavor — with oak being the dominant taste. So if rare, old, and oaky are up your alley, Rhetoric certainly fits the bill. As far as Kentucky Bourbon distiller's are concerned, it's hard to go wrong with the juice that the good folks at Wild Turkey churn out. That's why Russell's Reserve Single Barrel should be high on your radar, even before you take a sip. Of course, once you do have a taste you'll be treated to a bold, spicy, non-chill filtered dram of bourbon that Master Distiller Jimmy Russell is proud to lend his name to. It makes no apologies at 110 proof — but still manages to maintain an impressive balance between the sugar and barrel notes. Buffalo Trace continues to innovate with their Experimental Collection and the most recent release, Extended Stave Drying Time. The wood planks that make up a bourbon barrel are dried out in the open air for about six months before being turned into barrel planks. Stave drying plays an important role in the taste of the bourbon, so Buffalo Trace decided to experiment by allowing the staves for this spirit to dry out for about twice as long. The extended drying time bourbon is significantly aided by the extra time too, balancing the oak flavors that can sometimes dominate in an older bourbon. Snag both bottles and try them side by side with a friend for the full experience.